God is growing Grace Church. We are currently out of space for kids, teens and adults. When you get involved in Here We Grow, you will be contributing to the Grace Church mission, to be a church that helps all people believe in Jesus Christ and become more like Him. Our goal is to raise $1.4 million to be able to build a new children's building with room for 300 kids and to refurbish our auditorium building to make room for 200 more adults. The new children's building will be approximately 15,000 square feet. This space is more than three times the existing space we have for kids today. The new building will have large, flexible classrooms, lots of bathrooms and themed environments for kids. 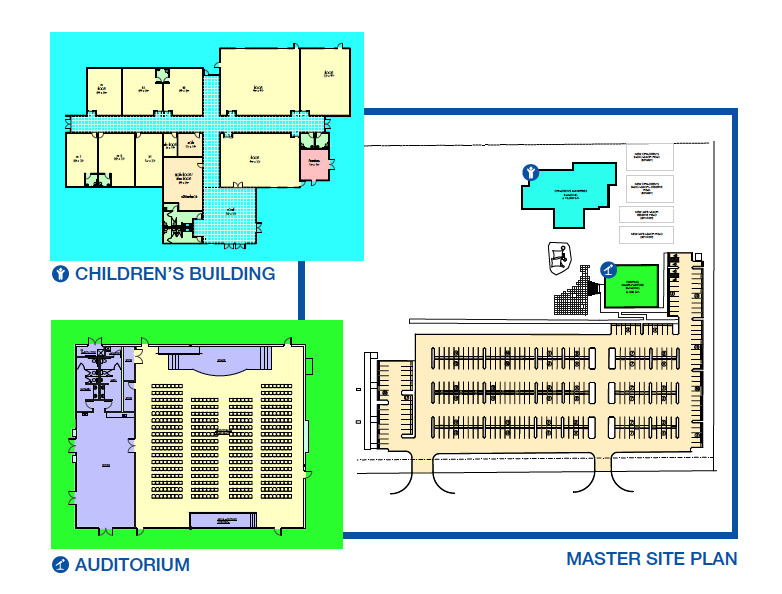 Middle schoolers will also be using the large "theater" room directly off of the lobby until a future building phase. We will be removing classrooms and expanding the auditorium from approximately 280 seats to 480 seats. The existing lobby will be expanded to twice its current size. We plan to update the exterior in a modern, Southwest Industrial design that will coordinate with the new children's building.